Chromosome iphone x case by Tim Vernon, Lth Nhs Trust. Protect your iPhone X with an impact-resistant, slim-profile, hard-shell case. The image is printed directly onto the case and wrapped around the edges for a beautiful presentation. Simply snap the case onto your iPhone X for instant protection and direct access to all of the phone's features! 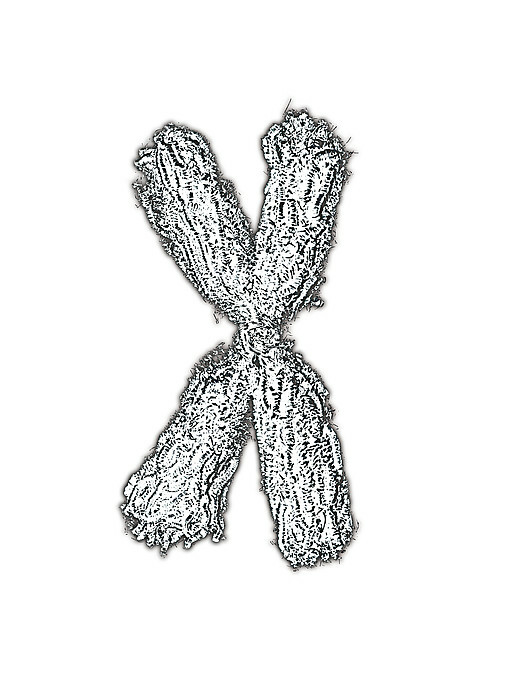 There are no comments for Chromosome. Click here to post the first comment. 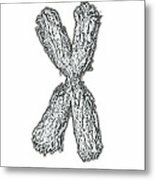 Chromosome. 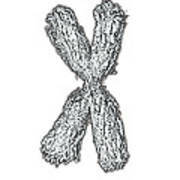 Computer artwork of a condensed chromosome. 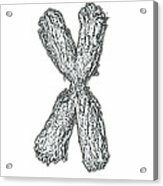 Chromosomes, which consist of two identical chromatids joined at a centromere (centre), are composed of deoxyribonucleic acid (DNA) coiled around proteins. DNA contains sections, called genes, which encode the body's genetic information, determining each cell's structure, function and behaviour.